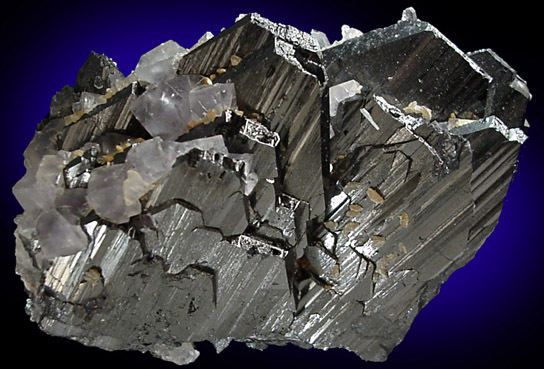 Description: Excellent specimen of lustrous ferberite crystals up to 6 cm long mixed with colorless quartz crystals up to 15 mm long. 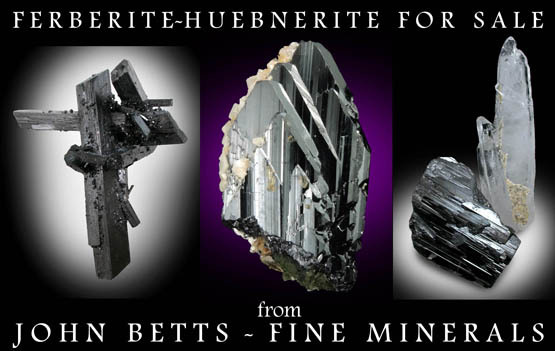 The ferberite crystals are arranged in parallel formation and are completely undamaged. A good specimen.